Join us for Pasafest! The Pasaquan Preservation Society has organized this festival to highlight the cultures of the Southeast. Throughout the day, we will be offering blues, rock, and folk music as well as visual artists who are known for their Folk and Self-Taught styles. Following the tradition of St. EOM’s life, we will also be offering handpicked food vendors, fortune tellers, performers, and much more! 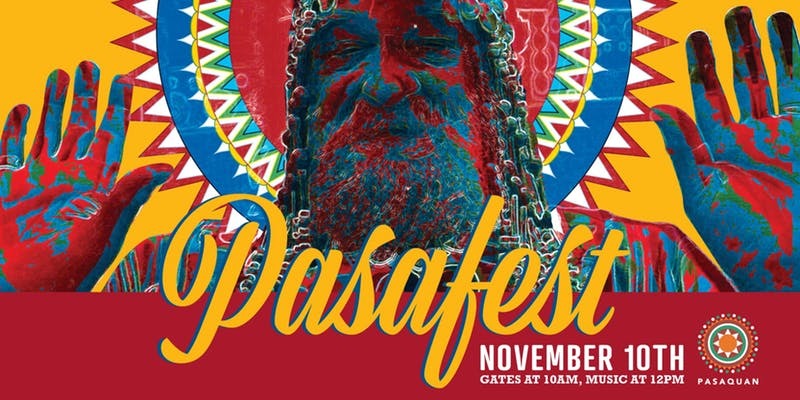 Pasafest is a step toward fulfilling our mission as a society by producing programming and fundraising events that will help preserve as well as educate people about this world-renowned visionary art environment! On the evening of Nov. 10th Omaha Brewing Co. is offering campsites at the Brewery for festival goers, if interested, please choose “Admission + Camping” as your ticket option to save your spot! Campers may set up camp starting at 10 A.M., and there will be a shuttle taking festival-goers to and from Omaha Brewing Co. for no extra cost. Sites are limited so, save yours today!